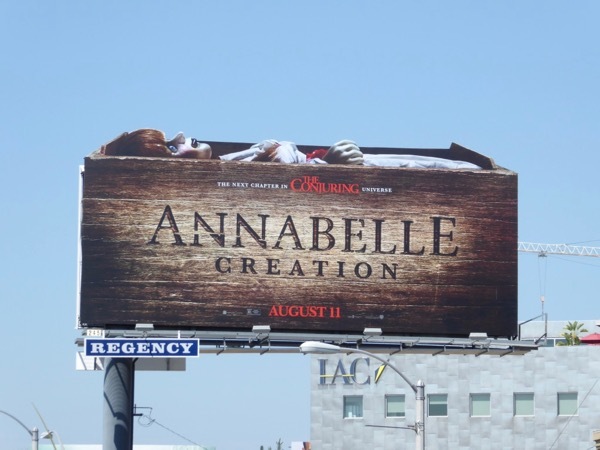 In Tinseltown nobody puts 'Baby' in a corner, and certainly nobody puts 'Annabelle' in a box without dire consequences. 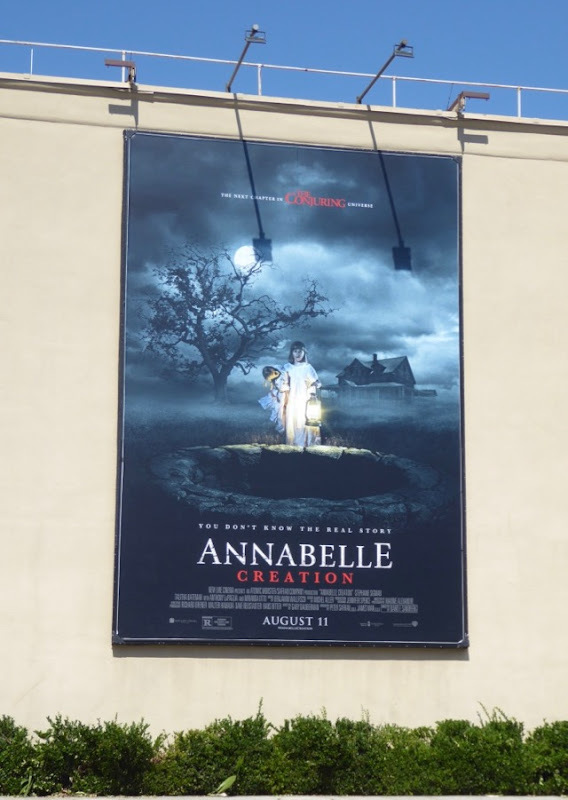 This summer the demonically possessed vintage doll and breakout star of 2013's The Conjuring is back with a second spin-off movie, this time an origin prequel called Annabelle: Creation. 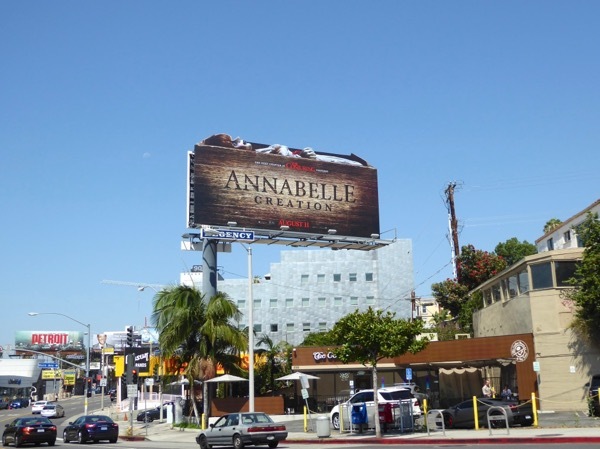 The portrait billboard version was snapped along Olive Avenue at Warner Bros. Studios in Burbank on July 2, whilst the clever special extension cut-out was photographed above West Hollywood's Sunset Strip on July 11, 2017. 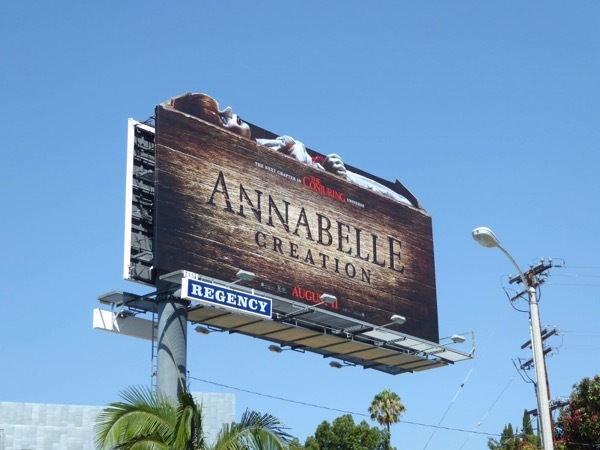 Fans of the horror film franchise can also enjoy these movie billboards for The Conjuring and the billboards for The Conjuring 2. 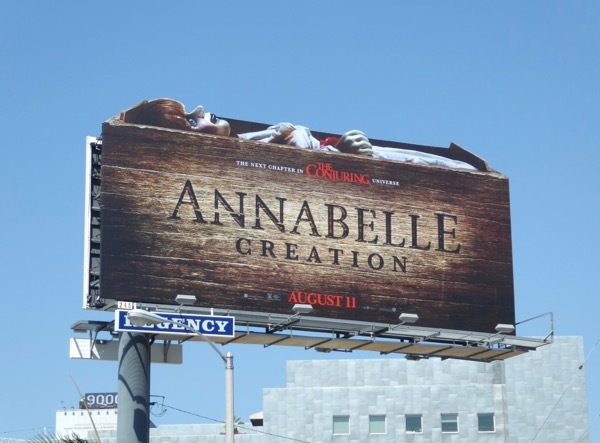 The thing that strikes the most dread about this special extension billboard is that it says the film is part of The Conjuring Universe. These days it seems studio execs see the dollar signs of world building before making sure they are good films and stories first, so let's hope that's not the case in this instance. Only time will tell whether Annabelle can scare up a good box office result this coming weekend.